The current state of the mortgage industry has improved greatly in the last few years. Mortgage rates have a big impact on that improvement. Interest on home loans are down almost 100 points (1.00%) since September 2013 alone, the lowest point in over two years. These low interest rates have created a strong housing market. Home sales in the United States has entered a new boom with homeowners getting in on the great rates by selling at the best prices and buyers able to afford more home while getting low payments. Added with the fact that it’s easier than ever to get approved, home sales are rising steadily. Approval rates for home loans went up six percentage points over the prior year in December 2014. Ellie Mae, the nation’s leading lending software provider shows 68% of the standard conventional mortgage loan applications being approved, and VA loan approval even higher at 74% in December. These are record-breaking numbers even in this economy. In spite of the deflating talk about how difficult getting a mortgage can be, the facts actually tell a different story. Where the real problem lies is not in getting an application approved, it is keeping the approval through the entire process until closing. There are problem areas that pop up like land mines on unsuspecting buyers that derail the process when they shouldn’t. If home buyers are properly prepared, they can take advantage of one of the strongest, most productive housing markets in recent real estate history. Time is a real problem for many home buyers. It can be tricky to maintain an even credit history or spending record during the entire process. The typical mortgage application takes 45 days from application to closing. During that time it is vital that none of the important characteristics a lender used to approve your application changes. That means when you are waiting to close on your home it is not a good time to buy a new car, open a new credit card, change jobs or go on a spending spree. Any of these things and more can create changes in your debt to income ratio, credit rating or net worth and cause your lender to reconsider and even possibly deny your loan. The application process isn’t over until it is over. Even when a lender says “yes” to your loan, until you actually close on the property in question things can change. 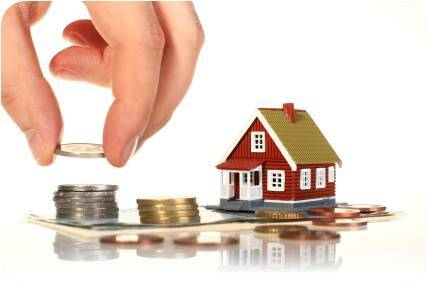 Some specialty loans can even take longer such as the more complicated 5-10 Properties Program. Know exactly how long you can expect to wait between application and closing at the start so you are prepared to get through those days without making significant changes in your life that will impact your application. Some things are unforeseen and hard to stop, but can still impact your mortgage application negatively. Life events such as illness, job loss or even damage to an existing home from a natural disaster may be devesating to your future loan. While you can’t account for everything that will pop up in life, there are things you can definitely control. Believe it or not, lenders are human and understand things that are beyond an applicant’s control. While losing a job may not be something that can be overlooked, unless you can get new employment quickly, home damage, illness or other extenuating circumstances that can be explained away reasonably may not have the same impact that “bad behavior” such as reckless spending, opening new credit or quitting a job will. There are eight things that are a common way people mess up and derail their home loan application before it can close. Even one of these eight may force a lender to re-evaluate or reject a loan, so they should not be ignored. There are some situations that are hard to get through without breaking some of these rules. For instance, if a car lease is up and you need to renew it, or get a new one, to keep working. Keep in mind that it could be a problem and be sure to speak with your lender before making any decisions that will look bad when they just appear. Surprising a lender is never a good thing. If you let them know what the situation is, and it is truly unavoidable, most of the time they can work with you to keep it from having a bad influence on your home loan.